The great European nights of Anfield folklore have usually had a goal scorer’s name written in lights next to them. David Fairclough against St Etienne in 1977. Steven Gerrard against Olympiakos in 2004 and Luis Garcia against Chelsea four months later. And there are others. Now, after another breathtaking night of Champions League football on Merseyside. 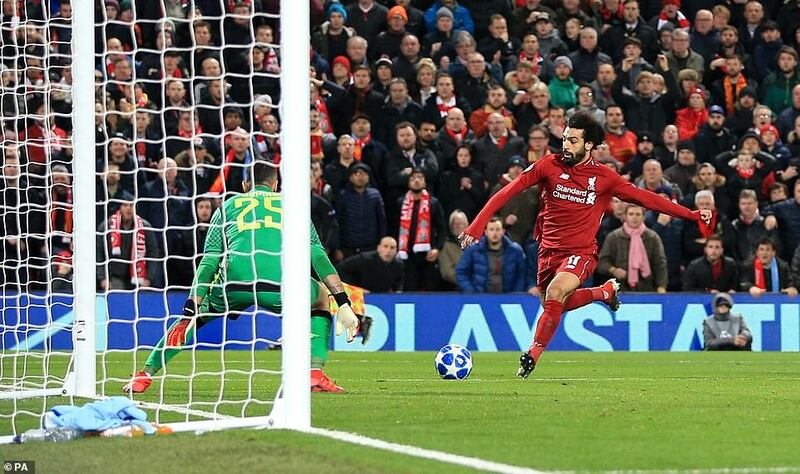 Mohamed Salah was the man of the moment for Liverpool once again and broke the deadlock in the 34th minute of the game. Napoli had been largely outplayed by Liverpool here. Only poor finishing by Jurgen Klopp’s team had kept their lead down to the single goal scored by Mohamed Salah in the first half. But it was always likely that the Italian side would get one chance. It is usually the way in games like this and Carlo Ancelotti’s team had looked dangerous on the break all night. They were too good a team not to give themselves at least one puncher’s chance at glory. The problem for Liverpool was that when it came, it came so late that there would have been no way back. And it did look for all the world as though the big Napoli substitute Arkadiusz Milik was about to end Liverpool’s interest in the competition at a surprisingly early stage. Liverpool’s central defenders Virgil van Dijk and Joel Matip had been excellent all night, almost faultless. Van Dijk, booked early, was absolutely magnificent on the whole. But here three Liverpool players were attracted to the ball as a cross arrived from the right. That is the kind of thing that panic can do. And when the ball arrived at the feet of Milik on the edge of the six-yard box he controlled it perfectly to present himself with his chance. With the ball bouncing up nicely after his first touch, Milik did absolutely nothing wrong. The contact with the right instep was perfect and measured. The ball was on its way in to the net. It had to be a goal, it just had to be. Liverpool were on their way in to the Europa League. But Alisson knew that he had only one chance. The odds were against him but if he made himself big then the gods may favour him. So he did and they did. The ball struck him on the thigh and rebounded up in to the air. Milik tried desperately to retrieve a lost cause with an overhead kick as the ball dropped but the chance had gone and with it the game. 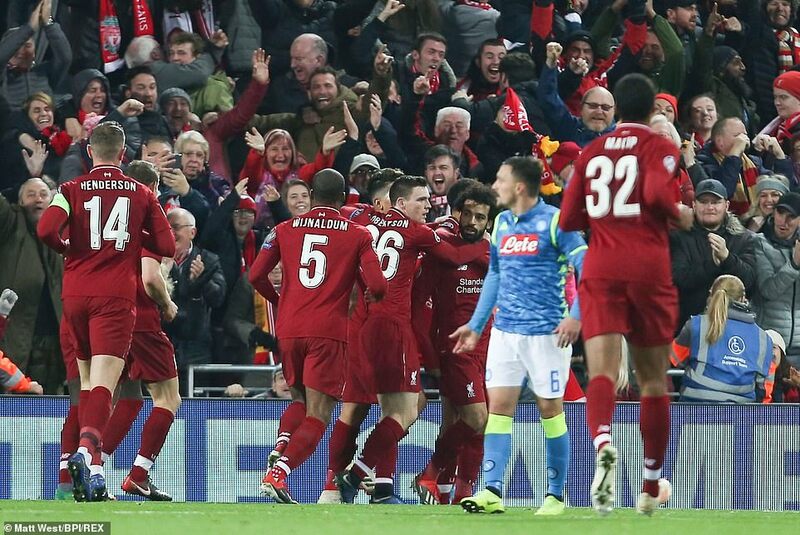 It really was the most extraordinary end to a superb game, a contest kept on the knife edge all night not only by Liverpool’s failure to kill it but also by the complex mathematics that preceded it. Liverpool knew, for example, that 1-0 would take them through but 2-1 wouldn’t. So even as they pressed for the second goal in a second half they dominated, they knew that just one strike from their talented opponents would do them like a stiletto through the shoulder blades. Against that background, it was no surprise that this was a nerve shredder. Liverpool were terrific, they really were.